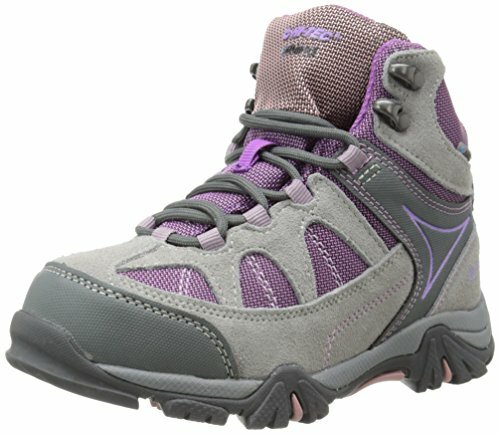 Wherever you go the Altitude Lite i WP Hi-Tec JR hiking boot is sure to get you there. The waterproof suede and mesh upper provide durability and comfort while the Dri-Tec waterproof breathable membrane ensures dry feet. The i-shield coating works to repel water and dirt helping your boots to stay clean. With a ghillie lacing system and fully gusseted tongue you will feel secure in these hiking boots. A compression moldered EVA midsole provides a smooth ride with the lightweight nylon fork shank helps to keep you stable. Not to mention the Altitude Lite i WP JR hiking boots have the sure footed multi-directional traction outsole.